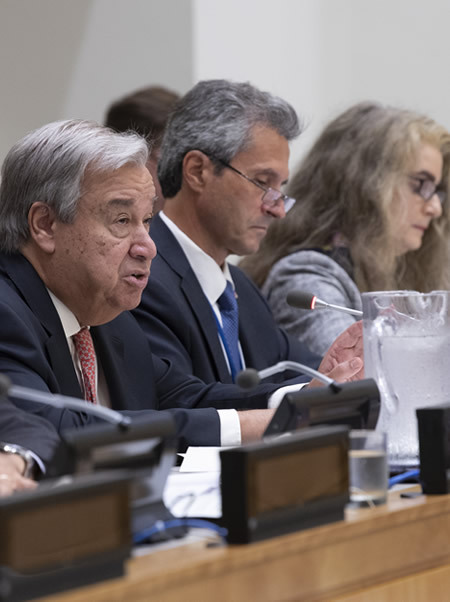 Photo: UN Secretary-General António Guterres speaks during the UN Peacebuilding Commission’s meeting on “Leadership, Accountability, and Capacity in Supporting Peacebuilding and Sustaining Peace.” 07 September 2018. United Nations, New York. UN Photo/Eskinder Debebe.